Officially this lake is actually a reservoir, located in the low lands of the Sierra foothills country. Narrow, winding back roads, a way outta the way kinda spot. 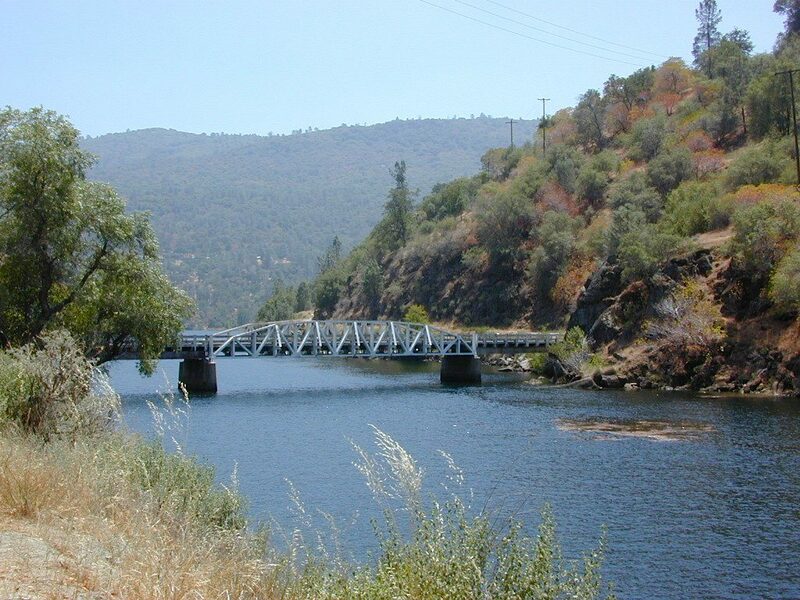 The San Joaquin River flows west, down from the highest granite peaks of the Sierra Nevada and into the Central Valley foothills. If you find your way off the main highway 41, exploring way back behind Bass Lake, CA – then you may consider this scenic loop to Redinger. Truthfully, this place is usually an afterthought, sorta near Yosemite National Park. Not exactly a top destination for tourists, but it is very accessible most anytime of the year due to low elevation. Spring wildflowers can be decent. Summers do get super hot here, so take that into consideration when planning your visit. Due to extreme wildfire danger, no campfires are allowed at any time. 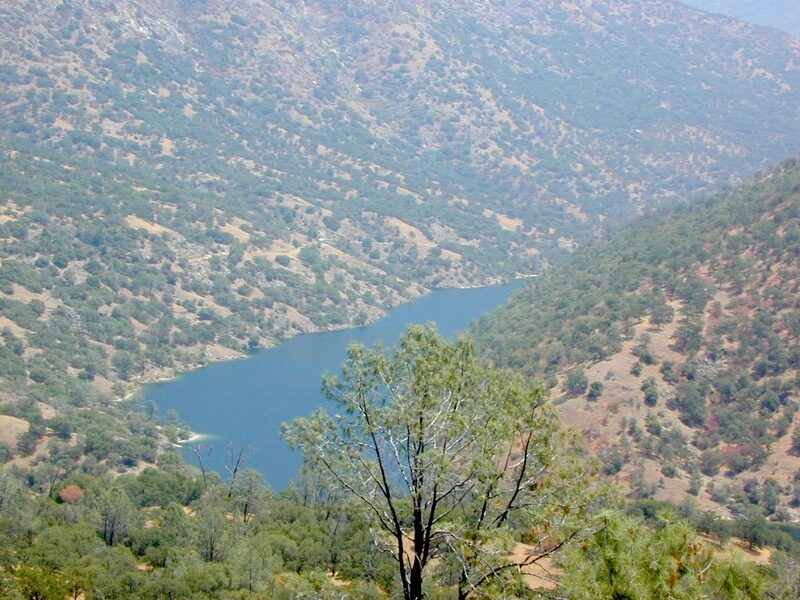 Lake, Reservoir, or a good wide section of the San Joaquin River w/ hydro-electric dam. Camping is restricted to a large open area near the dam. No fee is charged. No campfires are permitted. Services limited, no drinking water or garbage pick-up available. Nearest town 7 miles away. Way up river, a dozen plus miles, is the utterly beautiful Mammoth Pool, only accessible half the year. A few miles down river from Redinger, around the horse shoe bend, another neighboring reservoir called Kerschoff Lake (elev 971′) has a developed campground.